For a garment manufacturing enterprise, it is vital to be dynamic, innovative and quality driven. We, at TrendzMine, have adopted all these elements and embedded our position as a leading Manufacturer and Exporter of all types of Garments. Over the years, we have created a benchmark in the competitive market by dedicating ourselves to achieve our goals of supplying versatile and fascinating range of our products. 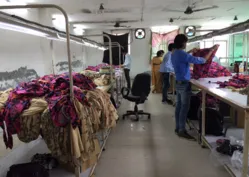 We are a professionally managed organization which works under the guidance of Ms. Manu Chaudhary who has got an in depth knowledge of fashion world which helped us in emerging as leading manufacturer of Beachwear Clothing, Ladies kaftans, Kids Clothing, Tunic and Ladies Dresses. At TrendzMine our quality of work, products and services speak for themselves. We have great confidence in our quality of service that we can guarantee complete customer satisfaction at the delivery of the goods. Our strong ability to adapt and develop our services has enabled us to form mutual and consistent relationships with our buyers and suppliers. We share the credit of our success with everybody who works with us because we are firmly believe in team work. Manufacturing, Trading, Importer and Exporter of Ladies Dresses, Fashion Garments, Jewelry, Accessories, etc. Our wide range of products can be divided into Two categories which in turn have got many sub categories. Our range include: Kids Clothing and Women’s clothing. For Kids clothing, We are doing Kids Frocks, Tunics, Peasant Dresses, Beach Coverups, Jumpsuits, Rompers, Baby Clothing, Pants, Shirts and Blouses. Other than these we do Maternity Clothing with Baby clothing. We also do variety of designs and clothing for Plus size and Indo-Western Tunics/Kurtis. Our garment range consist of designs which imitate Style as well as ease and provide you a perfect quality standards. We manufacture contemporary western wear which are casual as well as suitable for any other occasion. Our casual wear range is a mixture of style as well comfort and follow the latest trends. The measurements for Kids and Ladies both are customizes as per every customers’ need and set as per international standards. Our finest quality materials as well as their trendy designs have helped us in getting Clients from all over the world. Our designs, their durability and cost effective prices have been a supporting factor in building a strong client relationship. We are proud to be associated with some of the reputed names in fashion industry. We offer the facility of providing customized version of products. We make complete efforts to materialize the ideas of our clients as perfectly as possible to ensure optimum customer satisfaction. We custom-tailor our products in terms of designs, color, extra embellishments etc according to the different customer specifications and their price range.Our product range is available at the most competitive rate. Both our standardized as well as customized versions are manufactured keeping in mind the feasibility of the end consumers whom our clients ultimately cater too. Our finest quality materials as well as their trendy designs have helped us in getting Clients from all over the world. Our designs, their durability and cost effective prices have been a supporting factor in building a strong client relationship. We are proud to be associated with some of the reputed names in fashion industry. Aim : Representing the Best Indian Product, Creating demand for our brand at International Level. Envisage : SERVING Brand of our company round the world, in all possible countries. We at TrendzMine, knows well the fabric is the base and root of all types of garments. We are using all sorts of fabrics which is required by the international buyers all over the world. We do customize printing in choice of fabric with pantone shades. We do color strikes and their approval before it goes in bulk manufacturing. We are very strong on printed and value added garments of cotton, viscose, polyester, yarn died, and all sort of bead and sequence work. Our specialization is hand, machine and chiefly embroidery. We have strong base in Jodhpur/Jaipur/Pushkar and Surat for Printing. We are Doing Digital Printing garments as well providing the order quantity per print. Patience to listen and understand to our customers so that we can fulfill their demands. We have the capability to handle your most complex order. 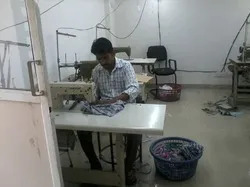 We have the facilities to fulfill your smallest, most detailed requirements in garment design. We have the discipline to follow your most exacting timelines. We work for you and with you, and we never flinch. Because everything you need is what we have, from start to finish, under one roof. Bring us your most difficult assignment and we''ll make it happens exactly as you want it and when you want it. Our commitment takes precedence over everything else. We believe our success is the result of our commitment to product quality, timely delivery, the environment and our human resources. The ultimate goal of our Company is to acquire the satisfaction of their customers. WE BELIEVE IN EARNING A CLIENT FOREVER. A top-notch team of professionals consistently examine the intricacies of quality management through online. Right from the procurement of raw materials to the manufacturing of end product, they use latest quality technology system and methods so as to meet the needs of the buyer.